People are being warned to stay safe online and protect themselves from ticket fraud. With the summer fast approaching, more people will be considering buying tickets for concerts, festivals and events on the internet. But police are warning potential customers to be on guard and not be conned into buying fake tickets. In the past there have been reports of fake tickets being sold on social networking sites. Tickets for festivals, concerts and sporting events are advertised by individuals who immediately shut down their accounts once they receive payment. Police are now urging the public to be careful when it comes to transferring money to strangers online. 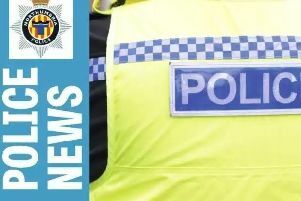 Detective Inspector Angela Hufton, of the Northumbria Police cyber crime unit, said: “In the past we have seen incidents of fraudulent concert or event tickets being sold on unregulated websites and social media. “In some cases the victim transferred the money online and then never heard from the seller again or they are provided with a counterfeit ticket. These incidents can cause a huge amount of distress and we will do all we can to catch those responsible. “I would urge anybody looking to purchase tickets to do so through the official venue box office, sports club, promoter or a reputable ticket exchange site. “If you do decide to purchase a ticket online then don’t be talked into using payment methods that you are unfamiliar with. Do not pay by sending cash, money transfers or money orders. “Cyber crime is one of the fastest developing forms of criminal activity and I want to take this opportunity to remind people to remain safe online. Those looking to buy tickets online can take a number of steps to protect themselves from fraudsters who use social media to target their victims. DI Hufton added: “You should never pay somebody you don’t know by bank transfer and, if possible, you should use a credit card as they offer greater protection than other methods. “Always make sure you double check the details of your ticket purchase before confirming payment and always ensure the payment page is genuine and secure. “Don’t be tempted to reply to or click on links in emails and social media posts from sellers you don’t recognise, and don’t open attachments.